At these times "the" whiskey in a bar in switzerland, Chivas or red label, much more there was not available (Glenfiddich of course). A bitter herb drought remains in the mouth, the finish is smoky dry and for me the bitter notes remains on the palate.. May be quite OK for a blend, he does not convince me. You like him or not. Compared to the newer bottlings such bottles have clearly more character. 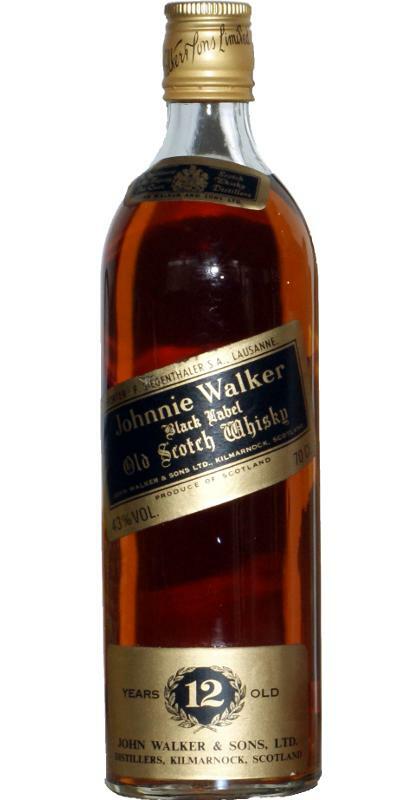 This 12 year old Black Label was imported to Switzerland in 1973 - hence the old label. The assumption what kind of whisky was used to create this blend is therefore simple: it's got to be stuff from the late 50s and very early 60s that were used and make this Black Label so different from its today's brother. A stunning experience and not so easy to find these days!